This workshop is designed for motivated individuals and teams working to communicate health information in ways people can understand. 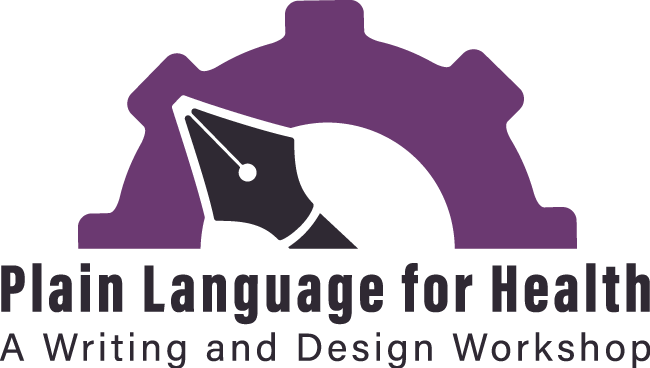 Join us for “Plain Language for Health: A Writing and Design Workshop” on March 17–18, 2016 in Boston, MA. Visit the website to learn more and apply. Applications will be accepted on a first come, first served basis. Learn new skills, gain valuable tools, and make lasting connections. The workshop will be led by Stacy Robison and Xanthi Scrimgeour, co-founders of CommunicateHealth, along with Sabrina Kurtz-Rossi, Director, Tufts Health Literacy Leadership Institute, and Alia Bucciarelli, Health Writer and Guest Speaker. Funded in part by the National Library of Medicine under contract with the University of Massachusetts Medical School.